Over the years Dr. Clifford J. Schexnayder, Ph.D., P.E., Dist.M.ASCE, has taught construction engineering at Louisiana Tech, Virginia Tech, Arizona State University, the U.S. Air Force Academy, the Technion in Israel, and at the Universidad de Piura and Universidad Ricardo Palma in Peru. 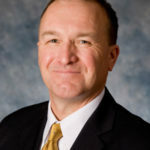 Dr. Schexnayder received his Ph.D. in civil engineering (construction engineering and management) from Purdue University, and a Master’s and Bachelor’s in civil engineering from Georgia Institute of Technology. As a construction engineer with over 40 years of practical experience, he has worked with major heavy/highway construction contractors as field engineer, estimator, and corporate chief engineer. Additionally, he served with the U.S. Army Corps of Engineers on active duty and in the reserves, retiring as a colonel. With the Corps of Engineers he built roads in Thailand, worked as a research engineer at the Waterways Experiment Station, and served as a staff officer at the District, Division, and Office of the Chief of Engineers levels. He authored the Department of the Army Field Manual (FM 5-434) Earthmoving Operations. His last assignment was as Executive Director, Directorate of Military Programs, Office of the Chief of Engineers, Washington, D.C. He has served as a consultant to the Autoridad del Canal de Panama for the third lane expansion of the Panama Canal and the State of California to review the cost and risks of constructing the main east span of the San Francisco- Oakland Bay Bridge. Dr. Schexnayder is a registered professional engineer in four states, as well as a Distinguished Member of the American Society of Civil Engineers. He served as chairman of the ASCE’s Construction Division, and on the task committee which formed the ASCE Construction Institute. From 1997 to 2003 he served as chairman of the Transportation Research Board’s Construction Section. Since 2006 he has served the Strategic Highway Research Program (SHRP 2) as a member of the Renewal Technical Coordinating Committee. 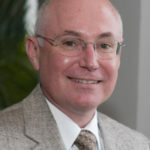 Dr. Schexnayder was the lead author for four editions of the McGraw-Hill text book Construction Planning, Equipment, and Methods, and two editions of Construction Management Fundamentals. 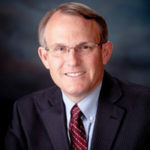 He has also received many engineering awards: ASCE OPAL Award – Education; Norm Augustine Award for Outstanding Achievement in Engineering Communications, American Association of Engineering Societies; John O. Bickel Award of ASCE; and the Tasher H. Bliss Award of The Society of American Military Engineers.